At Jeremy Hawke, we can provide you with a Kent courier in no time at all. We can collect your consignment and run it directly to your desired delivery point. We have vehicles based all across the Kent county so we can have your items delivered as quickly as possible. As a company, we have been trading for many years all over the UK. If you want deliveries to be made on time and safely, then don’t hesitate to get in touch with us today and we will do our utmost to assist you with whatever you wish to send. With our experienced Kent Courier, they will be the only driver that handles your items from collection to delivery. Therefore you don’t need to worry about any of your items being lost in transit. Our service will same you time and the hassle of having to deliver the packages yourself. Why take someone out of the business when you can hire us to do the leg work for you! For a fast quote and a quick response to your booking please do not hesitate to contact us on 0845 075 3652 for Kent couriers. Your experienced Kent Courier will be able to collect within the hour in a timely manner. 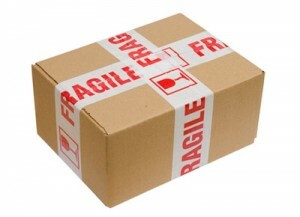 We also offer a European courier service. We can collect from Kent and deliver directly to any European destination.